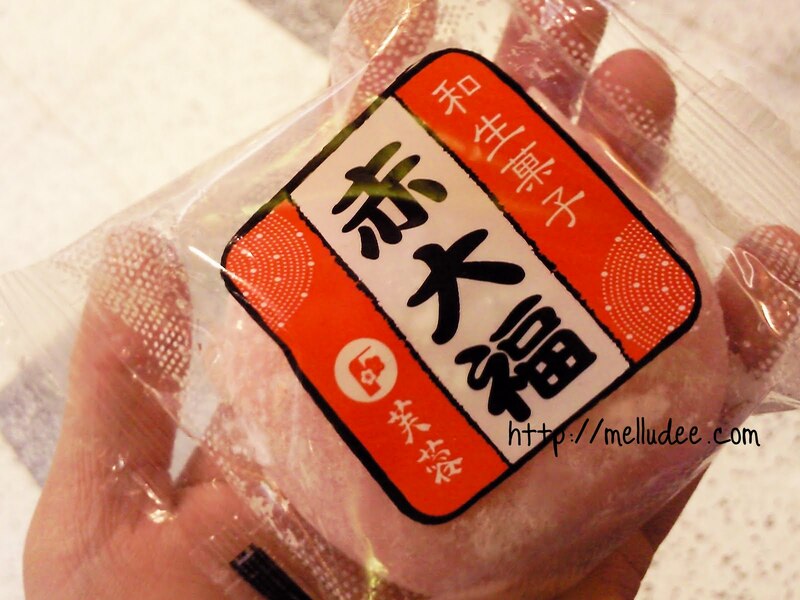 This is 赤大福 or “Red Daifuku“. This is a Japanese sweet that consists of a glutinous rice outer cake like thing and some sort of sweet filling. 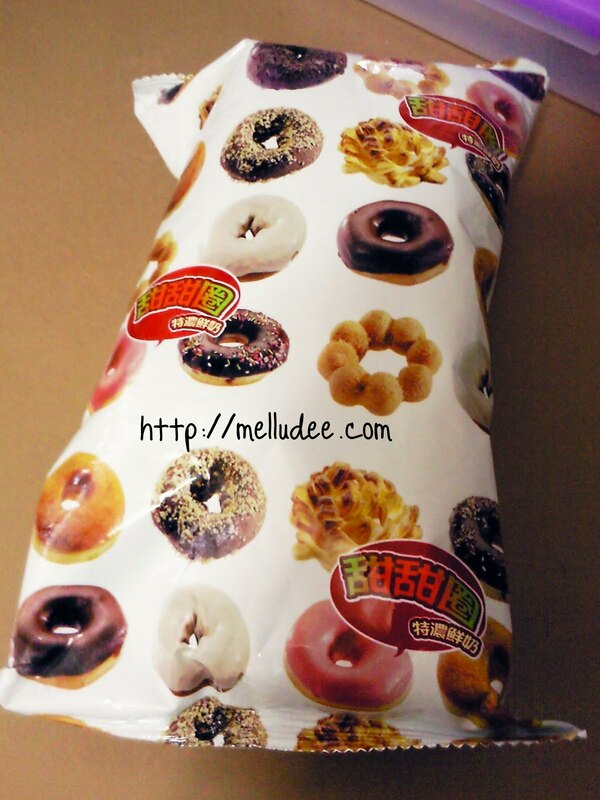 Mine was filled with sweet red bean paste. 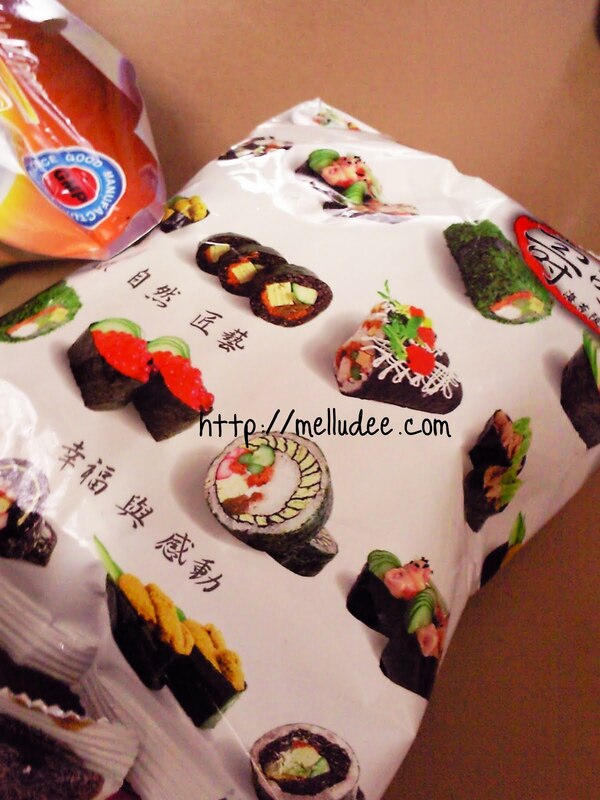 I loved this so much~ I bought it the other day from one of the local Korean groceries. (Why are there hardly any Japanese groceries? Just Korean….at least they sell Japanese things too.) But yes. If you haven’t tried mochi or daifuku before, you should definitely try it :D ! Vu and I bought this the other day for lunch(?) from The Den at University. It’s spinach and ricotta cheese canneloni served with a side of chips and gravy. This was the beeesssttt! 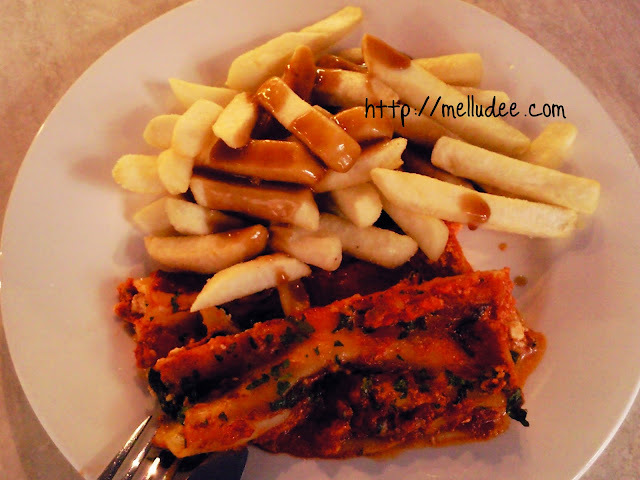 :D I absolutely love canneloni; and I love love love loveeee spinach with cheese. I think the combination just works perfectly. ♥ And well, I love gravy. So, this was perfect for lunch! I bought these two things not knowing what the hell was inside. It was only like $1 each and well, I just like trying random things like this. 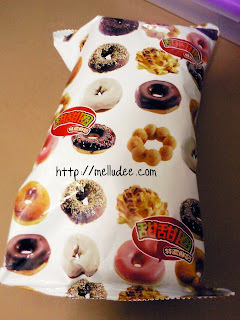 And the packaging looked so intriging ! :D Anyways, inside were some sort of ..chip ? rice type of chip? I don’t know how to explain it. (Sorry for not taking a photo) But it WAS nice. 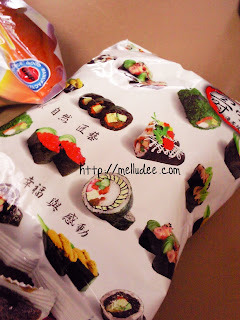 The left one had seaweed flavoured chippies; and the right was just really sweet and yummy. You should probably buy this if you ever see it …just to try it out :3! What’s your favourite type of cuisine? Ps. I’m going to be sending out an email soon to those who wanted to meetup. 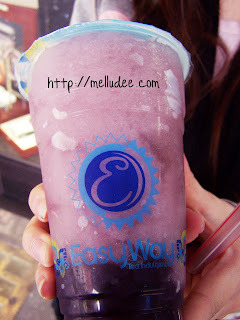 i had grapey easyway the other week! i think it was grape milkshake with grape jelly! and i was wearing a purple cardi so it looked good while i was also drinking it! & i like asian cuisine the most! Thanks for making me thirsty/hungry. I just had dinner but you're making me eat more! *shakes head* Haha, I usually buy Mango Green Tea with Pearls from Easyway. Maybe you should try that because it tastes good. so many pics of food. yumyum! hope the assessments/assignments went well. Food is ALWAYS good. Did you see my sushi post? Hahaha! I don't like daifuku. I tried it a year ago and was really disappointed because I thought it looked so delicious! But I didn't like it. :( I think it was the texture that I didn't like… It's weird. My favorite cuisine is Italian. :DD I absolutely love it! I think my favorite food is Chinese/Japanese and Italian jummie. i'm jealous of your food. They look so delicious! The Chips and Gravy look beyond delicious! 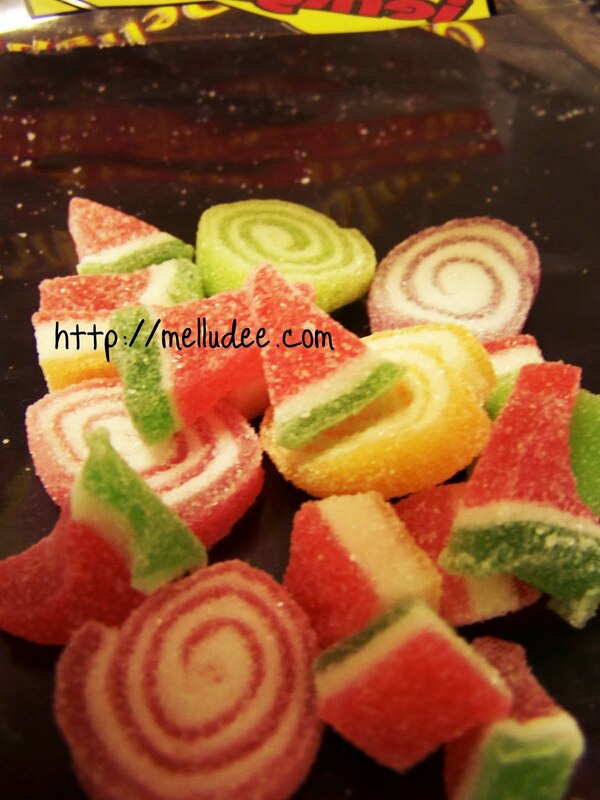 Also, the drink and jellies look good! I want to try those rice chip thing-y's! On my blog, I like talking about food way too much! to answer the questions, my fav cuisine is italian and french. Hey, thanks for trying to vote. Oh p.s where abouts in Melbourne are you? *wonders if were neighbours* LOLLL ! cuuuuuute bag! definitely will try it out if I see it! Even though I eat pretty much meat everyday! (Which is ohso yum) I have been going to this restaurant I rediscovered called Govindas, it's strict vegetarian food and is a Hindu restaurant from Hare Krishna. THE FOOD IS SO DAMN YUM!!! I ate three platefuls of it once >.< if I'm correct and you do live in Melbourne these is one down there..I suggest you try. OHSO GOOD. I've seen those doughnut and sushi chips ! But didn't have the guts to try it haha… I'll pick some up next time I'm at one of those stores ! Easy Way is the best thing ever! I get a strawberry Relish tea with pearls every single time. ^_^ BEST.